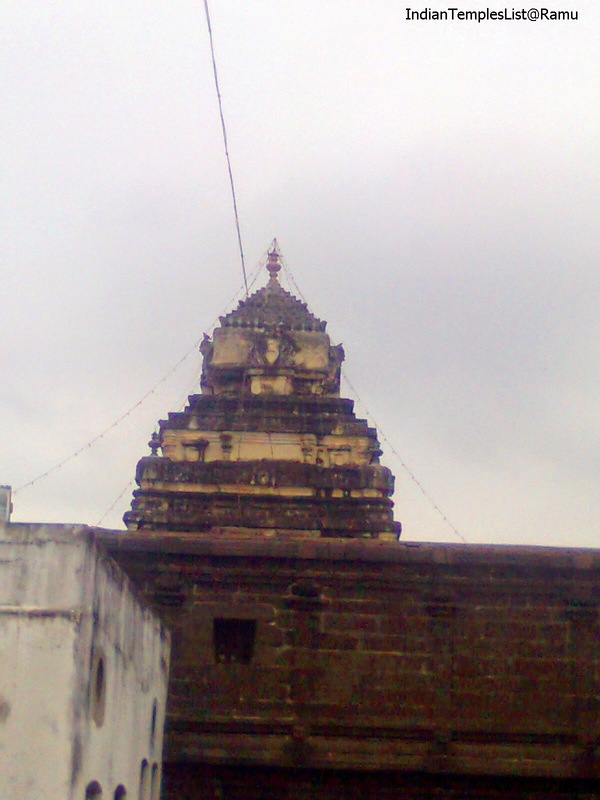 Draksharamam Temple in East Godavari district of Andhra Pradesh is one of the five famous Pancharama Kshetras of Lord Shiva (also spelled as Siva) in Andhra Pradesh. 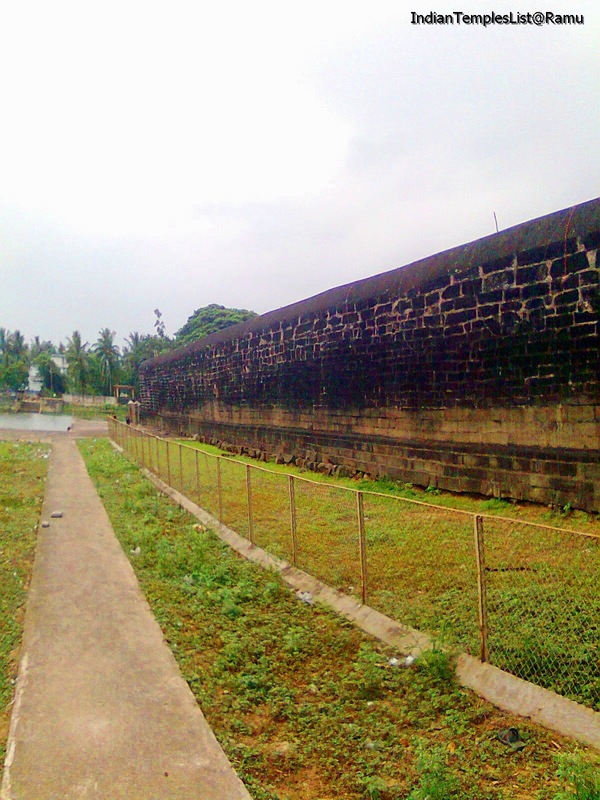 Sitting at the eastern bank of Godavari River, Draksharamam is a National Heritage Site. The Sivalingas at Pancharama Temples are made from a single Sivalinga. According to the ancient Hindu legend, Bhimeswaram/Draksharama (Bhimeswara Swamy) in Coastal Andhra region, Kaleswaram in Telangana region and Srisailam in Rayalaseema region marks the boundary of the Telugu country and hence got its ancient name as Trilinga Desa. 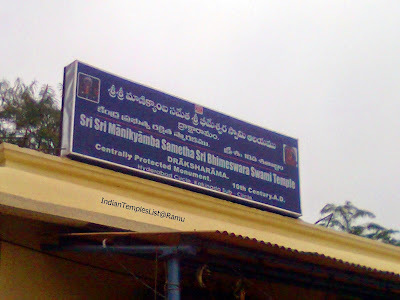 Devotees from all corners of the country come to this ancient sacred temple and perform puja to Bheemeswara Swamy and Sri Manikyamba Devi to get rid of their sins. Bheemeswara Swamy Sivalingam is ten feet high and the top portion of the Lingam can be seen from the first floor as it is a two storied sanctum. There are many other small temples present within the main temple premises including lord Vamana, Sankaranarayana, Ganapathi, Goddess Annapurna and Kanakadurga, Lakshmi Narayana, Lord Viroopa, Navagrahas, to name a few. 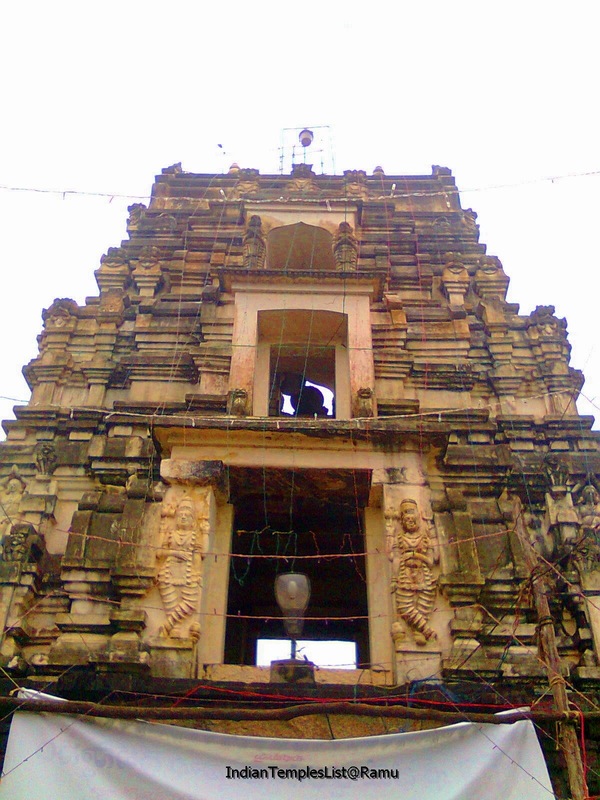 Also, Kashi Vishweshwara Swamy temple is present towards the right side of this historic temple. Pilgrims can have a holy dip at Sapta Godavari Kundam near the temple. Free food is served to all the devotees at the temple Choultry. Photography is prohibited inside Garbha Gruha. Dormitory facility is also available at a reasonable price located just half a kilometre away from the temple. Tourists can also get easy accommodations at Samalkot, Kakinada and Rajahmundry. 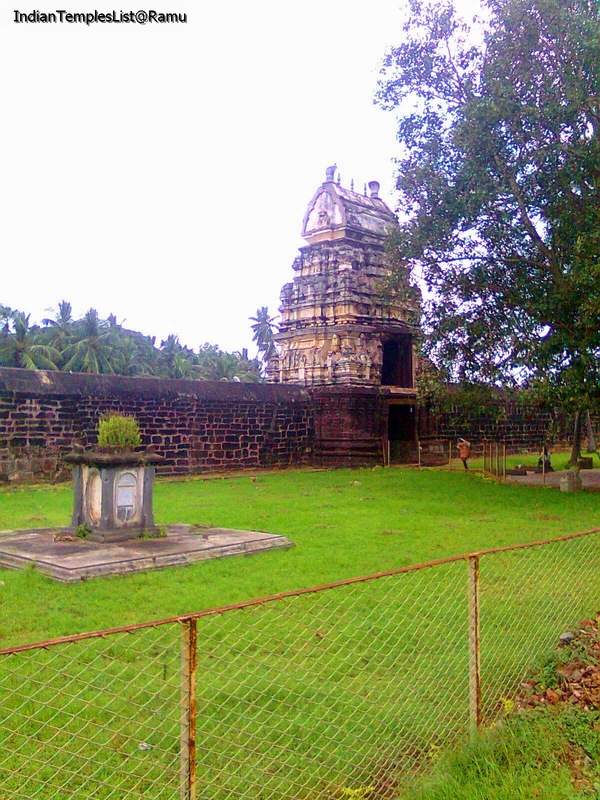 Draksharama Temple along with Kumararama temple in Samalkota was constructed in the 9th century by the Eastern Chalukyan king of Vengi - Bhima and the temple has more than 400 ancient inscriptions dating back to the 11th century. 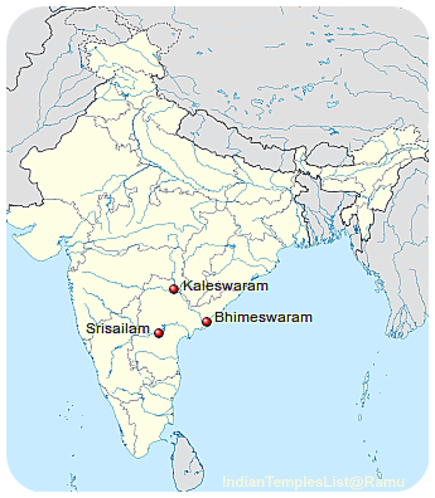 It is believed that Vyasa Maharshi installed the sacred Shivalingam at Draksharamam Temple and many legends say that Draksharama was the actual site of Daksha Yagna. The temple has two prakarams. According to some ancient scripts, the temple was constructed in a single day by angels. Draksharama Temple is located just 7.2 km [10 min] away from Ramachandra Puram town and just 33 km [37 min] away from Kakinada city. APSRTC ply frequent buses to reach Draksharamam Temple from Ramachandra Puram and Kakinada. The nearest railway station is present at Kakinada. 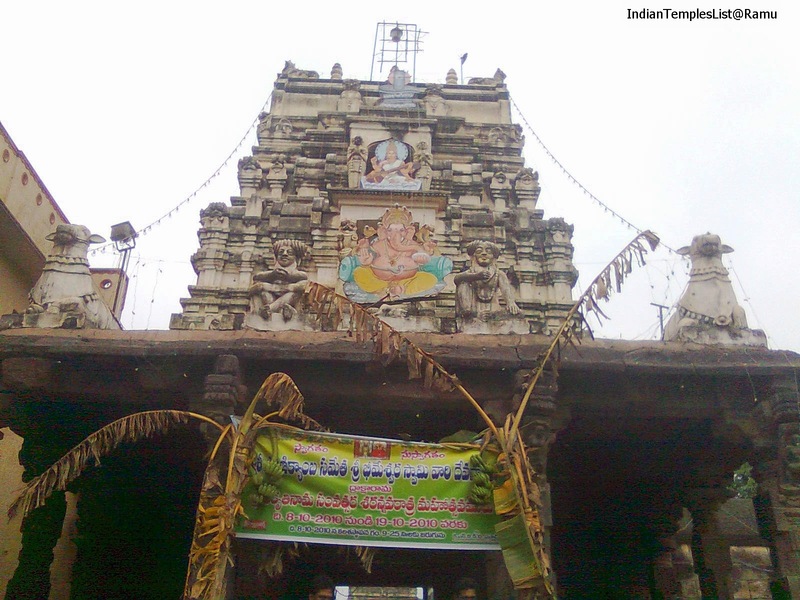 Draksharamam is just 466 km away from Hyderabad city and takes around 7 h 19 min to reach the temple on your vehicle. 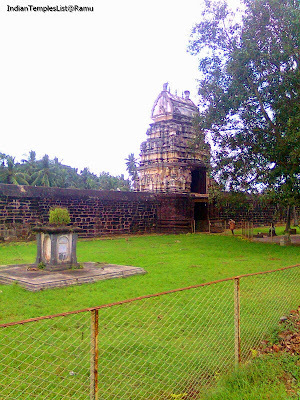 One should spend at least two days to enjoy visiting all the above said temples along with the Draksharamam Temple. Have a safe and happy trip to Sri Bheemeswara Swamy temple in Draksharamam and I hope you enjoyed seeing all these pictures. Do share your thoughts and opinions on Draksharamam Temple Photos in the comments section. I am a passionate Blogger very much interested in Travelling. This blog covers all the ancient temples of India and capture their glorious pictures to give a visual treat for the readers. Thanks for your comment and I promise to keep it updated when I receive all those information as well. Indian Temples List is a unique Indian Temples Travel Guide which helps both Indian and International pilgrims to visit best tourist attractions in India. Our main aim and goal is to provide complete information about both popular and non-popular famous temples in India. Find information about Temple History, Timings, Attractions and Temple Photos at one place.